The philanthropic mission of Chemo Noir is to host and inspire wine-centric events that raise money to provide financial support to the families, friends and fighters in their battle with Cancer. 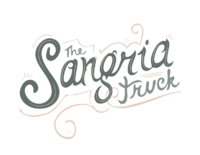 This 1 mile run and wine tasting event will be the classiest 1 Mile fun run event ever! The race will begin at the Jacksonville Beach Pier on a course that will be ½ mile out and ½ mile back. The ½ mile turn will be dedicated to one of the very first Chemo Noir supporters and friends, Tara Newton Richardson, and will be a cheering section and water station known as Tara’s Turn. At the finish line we will recognize our partners, sponsors and supporters. At the conclusion of the 1 Mile Run there will be a festive walk down to the tasting reception at Casa Marina. 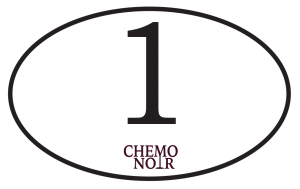 11:45a – 2:00p – TASTING EVENT: Casa Marina, exclusively for registered 1 Mile Chemo Noir participants – there will be a wine tasting, Chemo Noir merchandise, raffles, live music and a full cash bar available. Sorry, there are absolutely no refunds or transfers! You can register at any of our 1st Place Sports stores on our instore computers. Packets will be available for pick up at your selected 1st Place Sports store location on Friday, June 14th from 10:00 AM – 5:00 PM. All packets will be moved to the race site for raceday pick up beginning an hour before the race. Awards will be presented to the 1st place male and female. voted one of the top 50 running stores in the usa!